How to fight a PA traffic citation is a skill well practiced at Cody & Pfursich Attorneys. 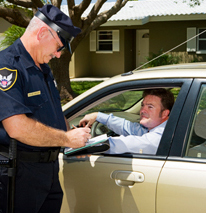 They will serve as your Lancaster PA traffic citation lawyer and will work hard for you. If you need to fight a PA traffic citation in Lancaster, we are the first and only firm you need to contact. When you need to know how to fight a PA traffic citation, not just any Lancaster PA traffic citation lawyer will do. Trust your case, and your future, to someone who is knows how to fight a PA traffic citation in Lancaster, and that person is one of the lawyers from Cody & Pfursich Attorneys. It is important to know how to fight a PA traffic citation, and Cody & Pfursich Attorneys can keep you out of jail and help you keep your driver’s license. A skilled Lancaster PA traffic citation lawyer could be the only thing between you and a prison cell. You can count on our experience when you need to fight a PA traffic citation in Lancaster. We are here to help you and provide you with legal representation. On the occasions when you need to go to trial, we also have experience in those situations as well as we are well-versed in contesting traffic citation charges in court. The next time you receive a traffic citation, reach out to Cody & Pfursich Attorneys. We have more than 60 years of combined experience in representing drivers facing charges related to a traffic citation. Favorable resolutions of these types of cases are our goal and we do our best to achieve that goal for you. The authorities are motivated and well trained to convict you and you need to have someone working with you who can help you. When you are charged with a traffic citation, you need a lawyer who will fight for you and protect your rights. Prosecutors and the police know what they are doing when it comes to dealing with traffic citation cases; you need to be prepared. Posted October 1, 2016 & filed under Cody & Pfursich News, Lancaster traffic offense attorneys.